Does being vegan mean that you are destined to a life of activism? Not necessarily. It is up to the individual, of course. No ethical vegan will judge you, nor will you be singled out for vilification or revilement. Everyone is entitled to choices. However, think about this: most of us are “anti-this” or “pro-that”; but since veganism is about “non-violence” (or should be), it is of vital importance that ethical vegans take a stand against many other social injustices as well. You can't be all things to everyone, but at the very least you can make a difference in the personal choices you make. Drowning in a sea of “isms” (that are all inter-related) sentient beings are hurting out there unnecessarily. You can be a closet vegan with no participation in vegan activism at all. Or, you could be a background activist, working on an online capacity through social media, writing letters, writing books, signing petitions, blogging, etc. Or, you could be an “active” activist on the front lines participating in more face-to-face scenarios. Handing out leaflets, forming your own vegan club/society, setting up information booths, organising dinners, making videos etc. Whether you are introverted or extroverted, there is a role for you. For all activists, you can still be potently “active” in the personal choices you make in your daily life. There is no greater gift to the vegan movement than living a life of non-violence and leading by example for others to follow. Non-confrontation, non-violence and education is the vegan movement's only worthwhile tactic in this day and age. Only through strong, creditable vegan education can we save ALL animals not just one or two species. 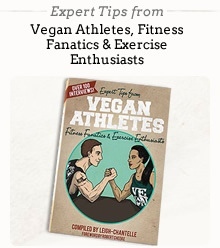 So, the only things stopping veganism are the $$$$$$$$. the slaughterhouse walls a veil of government protectionism and the palate pleasure of a meat-loving, under-compassionate majority who know no better. This is our mission if we want to accept it. Quite a mission. Like most proselytizing vegans, I firmly believe that change will come sooner rather than later. So whatever type of activist you are, rest assured that you are playing a role in a vegan transformation. Jim Campbell is a vegan/abolitionist of 16+ years. HTC /Android fan. Tech head. Music aficionado and would-be iconoclast.